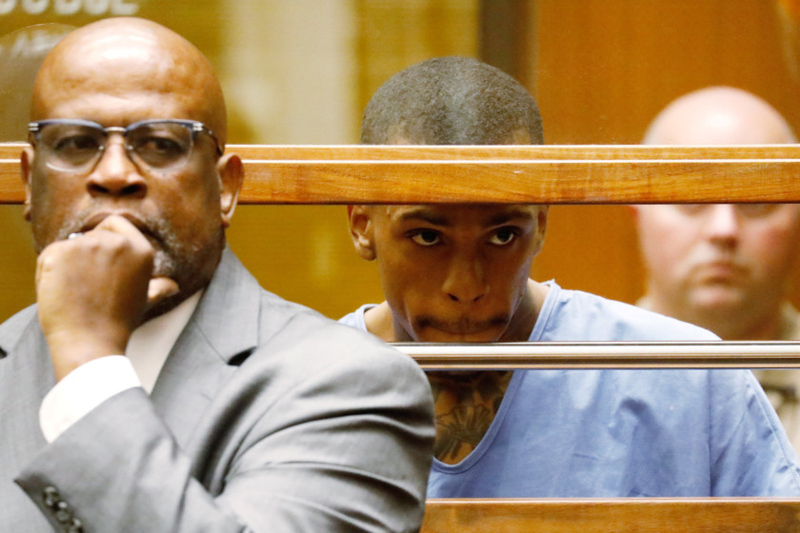 A Los Angeles man pleaded not guilty on Thursday to charges that he killed Grammy-nominated rapper Nipsey Hussle and was ordered held on $5 million (Dh18.3 million) bail. Eric Ronald Holder, 29, entered his pleas to murder and attempted murder charges through his attorney during a brief hearing in Los Angeles Superior Court. Holder appeared in court behind bars in a holding cell and spoke only to acknowledge his rights. He was ordered held on $5 million bail and told to return for a hearing on May 10. Holder was represented in the high-profile case by Chris Darden who, as a Los Angeles County deputy district attorney in the 1990s, unsuccessfully prosecuted former football star OJ Simpson for murder. Darden asked Los Angeles Superior Court Judge Teresa Sullivan to ban cameras from the courtroom, a request she denied. Darden declined to speak to reporters as he left the courthouse. Hussle, whose real name was Ermias Asghedom, was shot multiple times on March 31 outside his Marathon Clothing store in south Los Angeles. Two other people were wounded by gunfire. Holder was taken into custody on Tuesday in the Los Angeles suburb of Bellflower after a caller reported seeing the man police had named as a suspect. Investigators say the slaying was motivated by a personal dispute between the two men. Holder faces a maximum sentence of life in prison without the possibility of parole if convicted at trial. A woman who drove Holder away from the scene has not been arrested or charged in the case. The Los Angeles Times reported on Thursday that Holder was an aspiring rapper and suspected gang member who went by the nickname ‘Fly Mac’. He has a previous conviction for carrying a loaded firearm, the paper said. A disturbance erupted at a vigil for Hussle on Monday, setting off a stampede that critically injured two people. 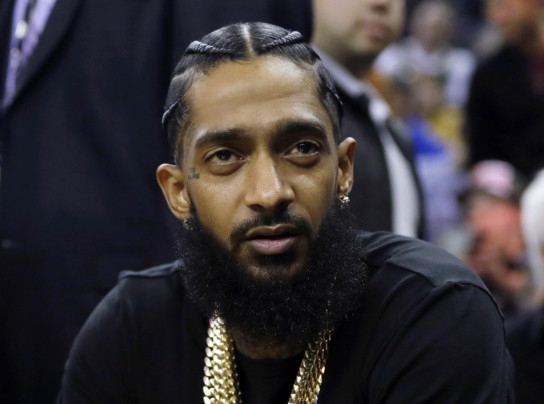 Hussle’s debut studio album, ‘Victory Lap,’ was nominated for Best Rap Album at this year’s Grammy Awards and his death prompted tributes on social media. The rapper, who was of Eritrean descent and grew up in south Los Angeles, has said that he once belonged to a street gang but more recently he had parlayed his fame into a role as a community organiser and activist. Hussle wrote “having strong enemies is a blessing” in a Twitter post on the day of his death.